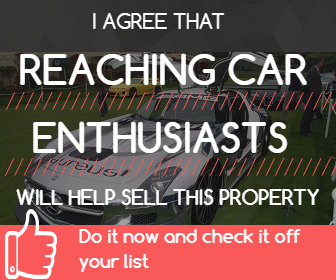 This beautiful property features a detached 10 car garage that would be a dream for car enthusiasts and collectors. The garage was just built in 2006 and features a hydraulic car lift, air compressor with hoses, 'snap-on' cabinets and tool benches, ventilation system, HVAC for climate control, a TV mount, half bath, and additional storage above the garage. This exquisite estate home is located in the Burnt Mills Hills community of Silver Spring, MD, just outside of Washington, DC. It is located on 2.24 acres of meticulously landscaped grounds. This stunning home features 6,100 square feet of living space with 6 bedrooms, 5 full baths, 2 half baths. The spacious gourmet kitchen was just remodeled in 2015 and boasts granite counter tops and brand new high end appliances. Discover all that this beautiful estate home has to offer! Garage Description This beautiful property features a detached 10 car garage that would be a dream for car enthusiasts and collectors. The garage was just built in 2006 and features a hydraulic car lift, air compressor with hoses, 'snap-on' cabinets and tool benches, ventilation system, HVAC for climate control, a TV mount, half bath, and additional storage above the garage. 12/09/2016 Wow these places are amazing. It's so awesome to find a site specifically for houses with garages! So many clients of http://www.hiloautosales.com talk about needing a house with a garage now after purchasing a vehicle!